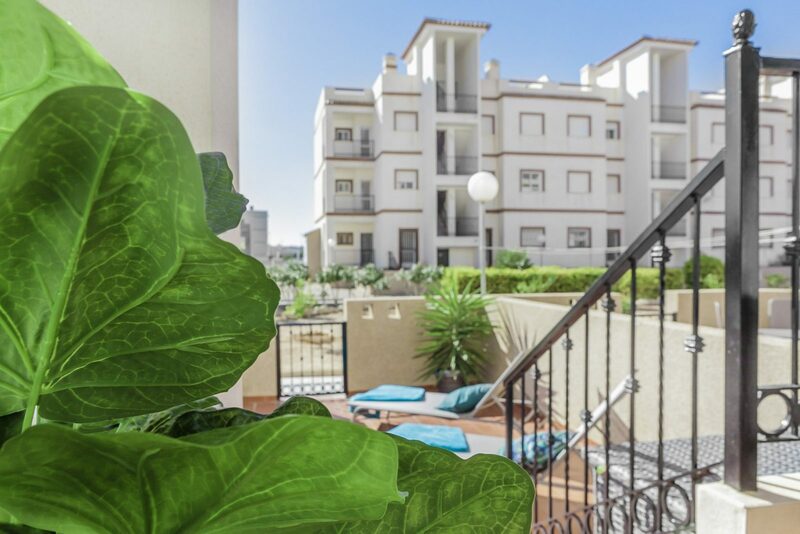 Newly remodelled ground floor apartment with large terraces. 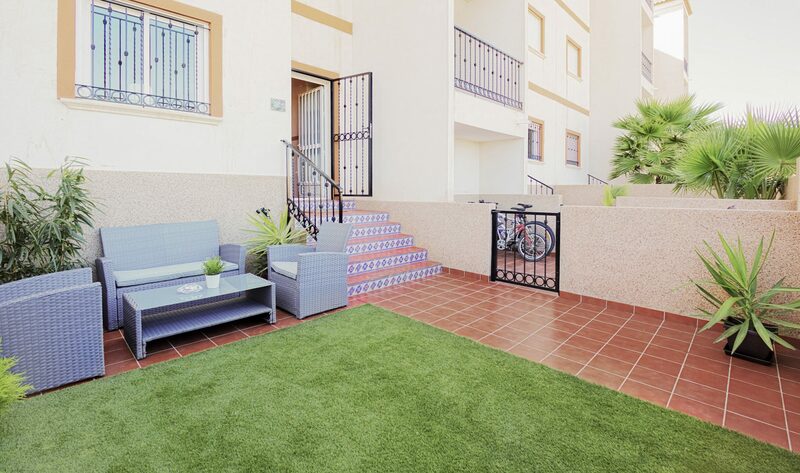 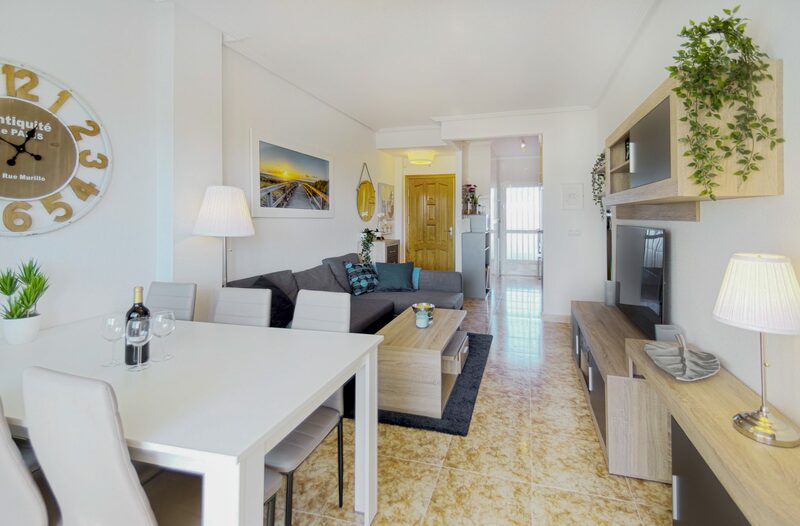 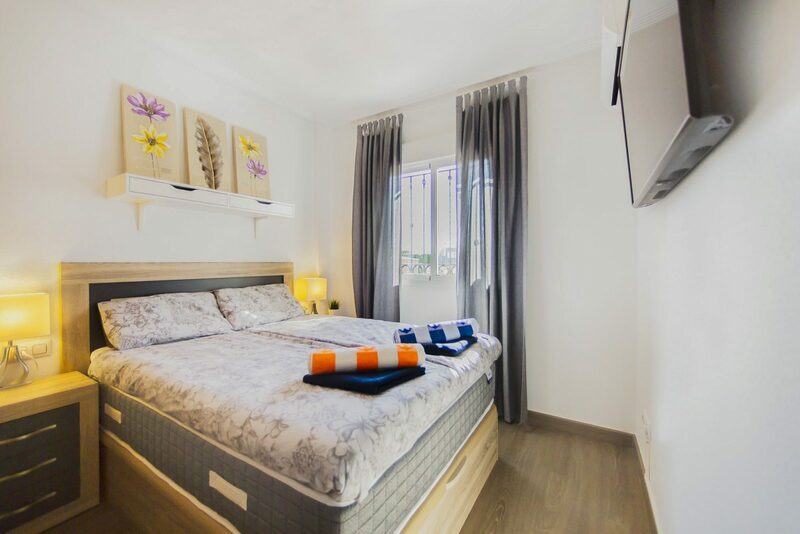 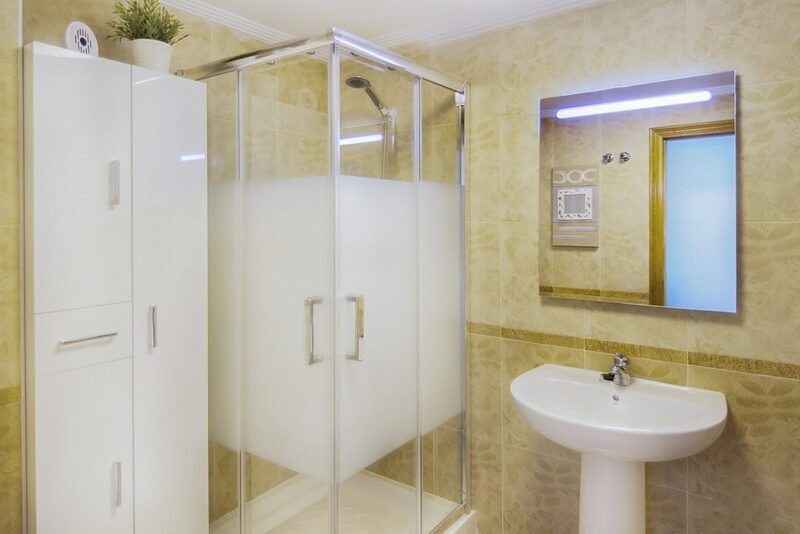 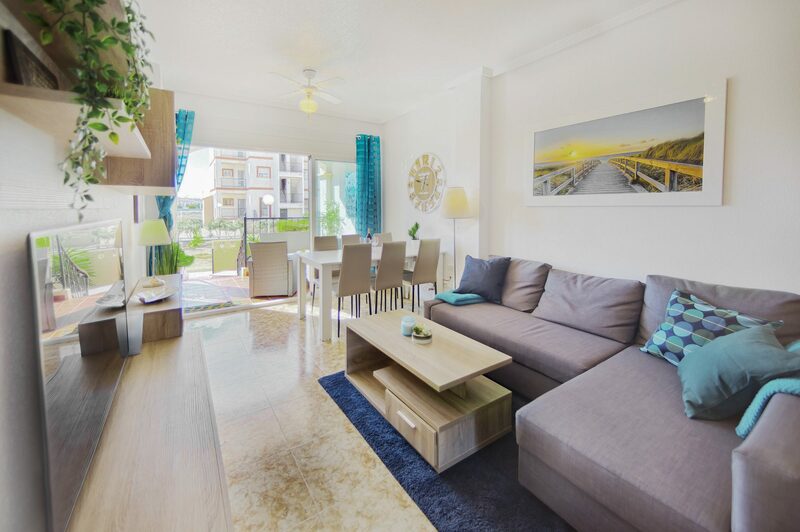 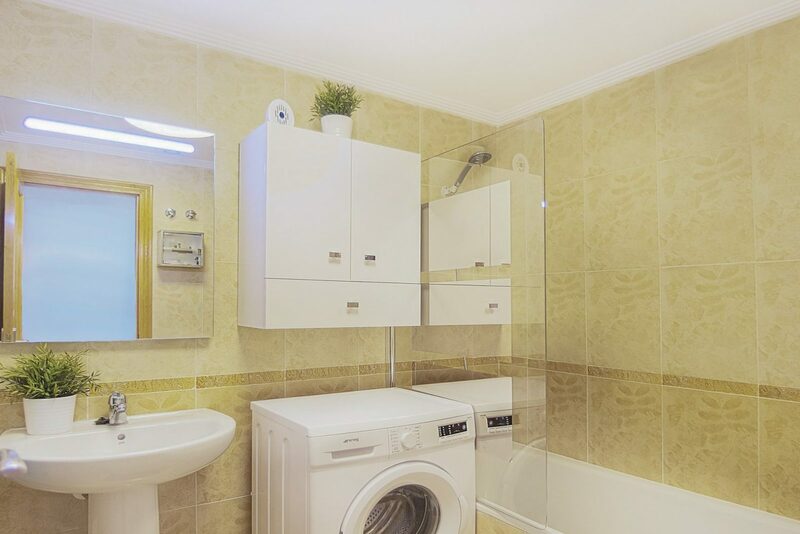 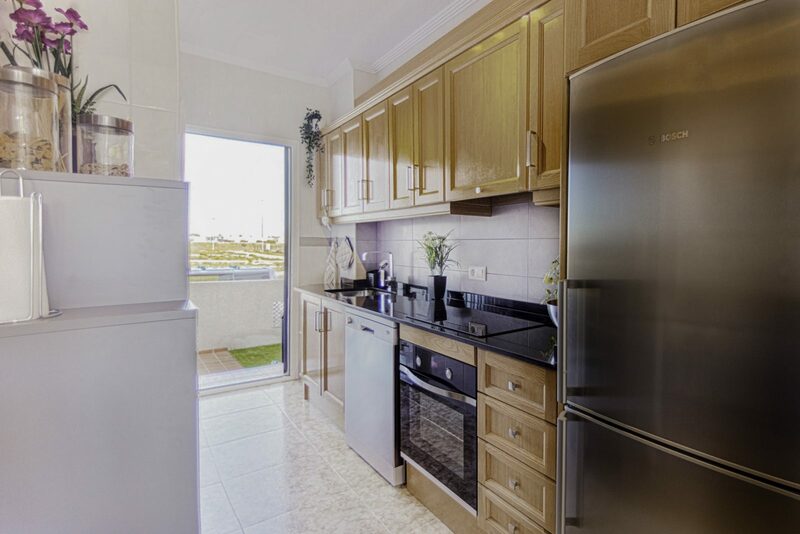 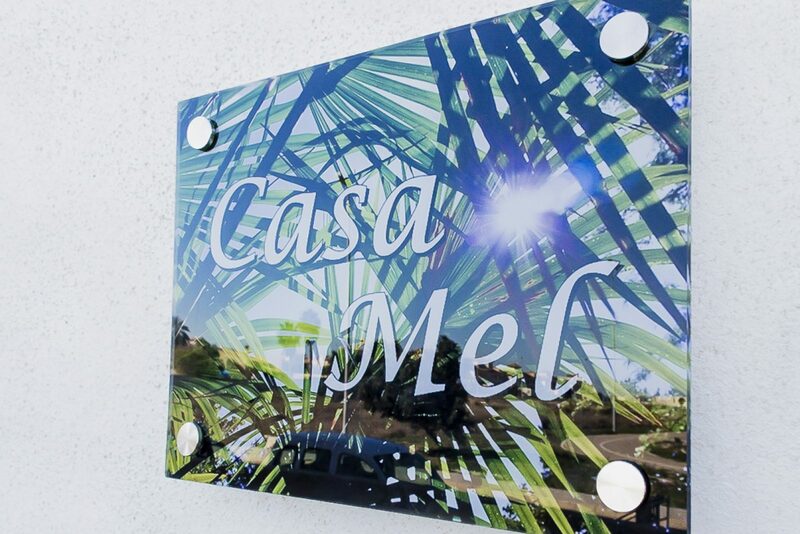 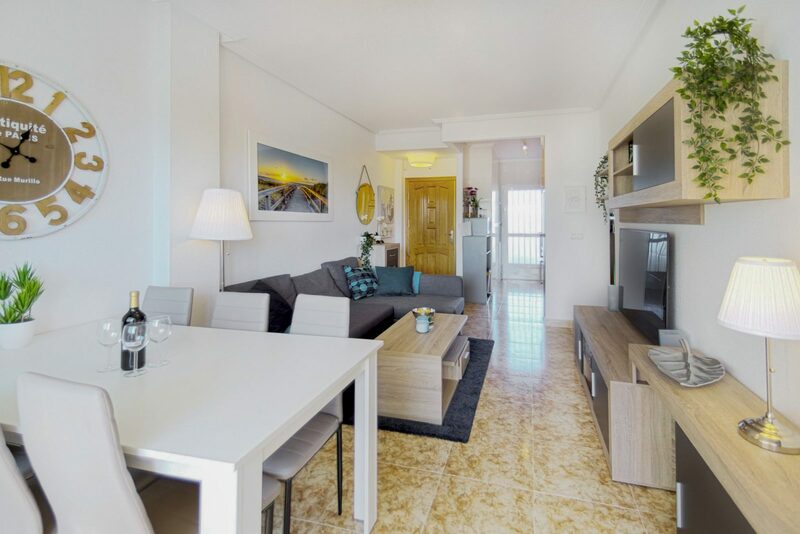 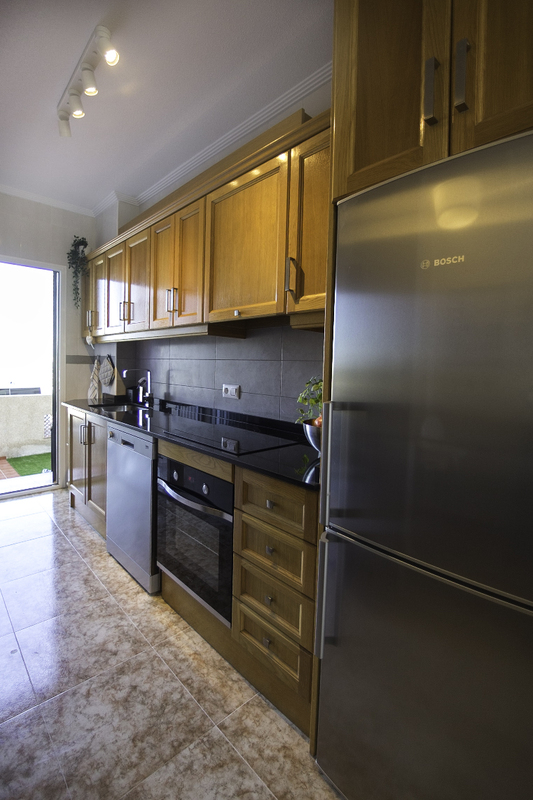 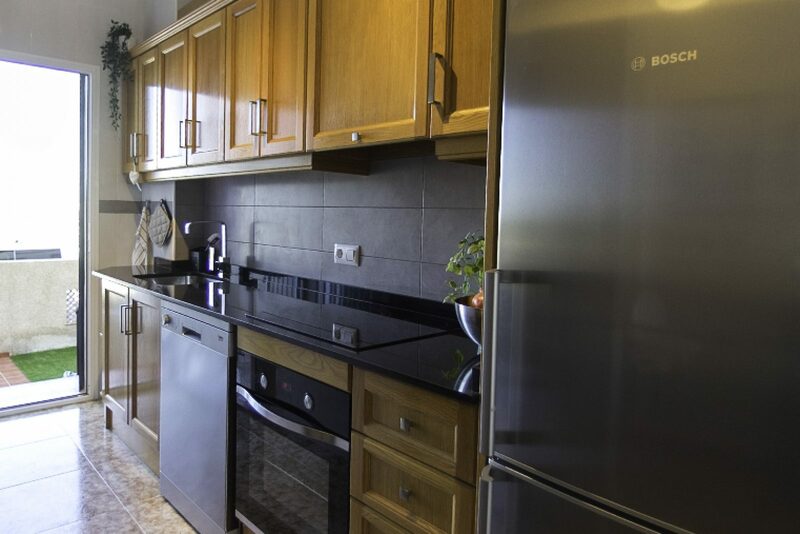 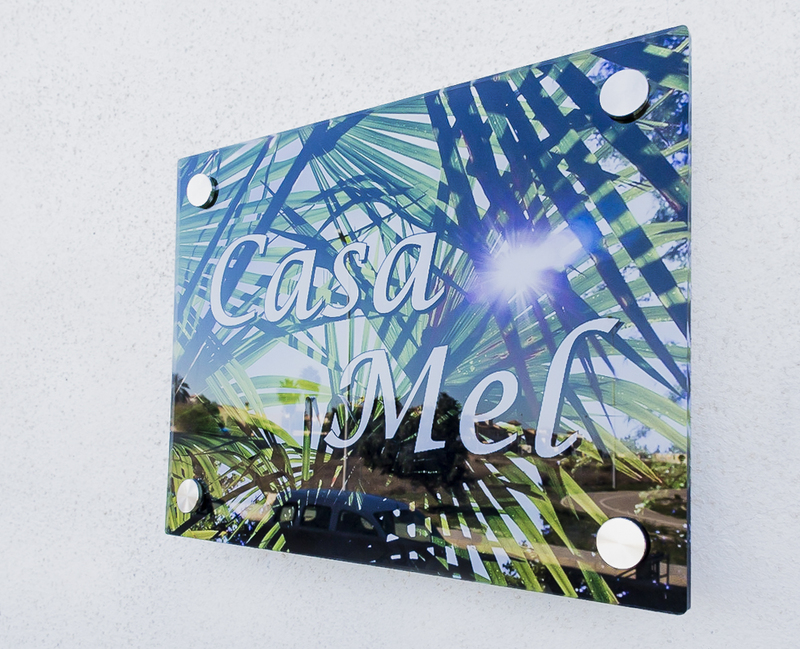 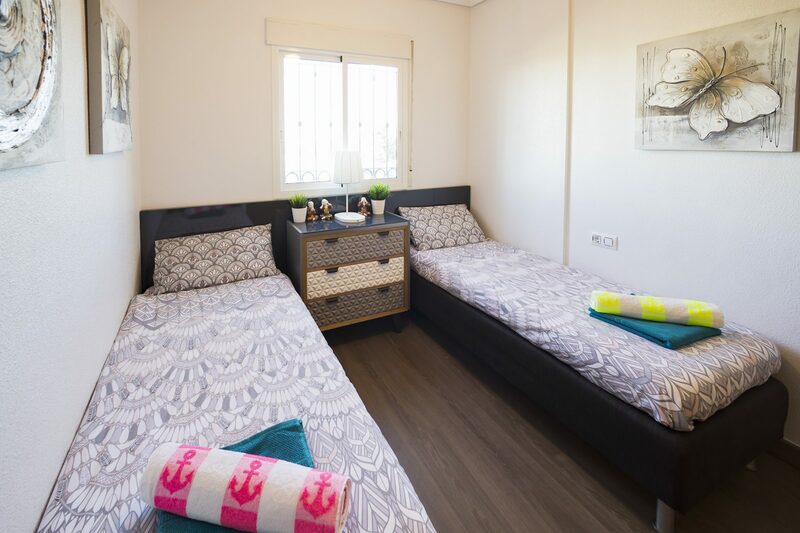 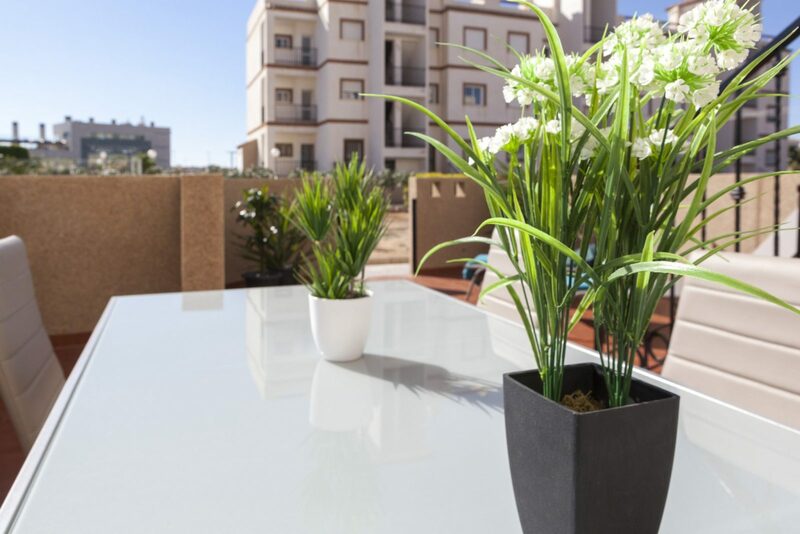 Welcome to Casa Mel – Our ground floor apartment between Playa Flamenca and Punta Prima! 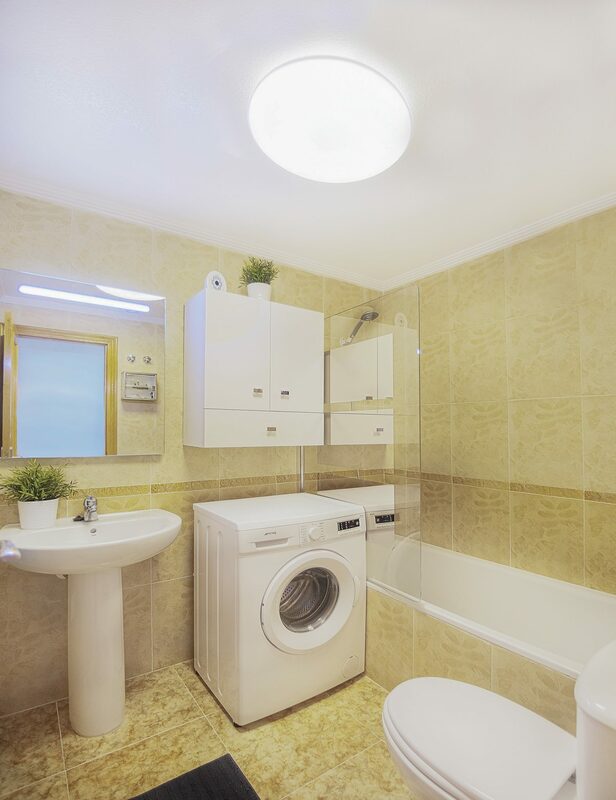 It was remodelled completely in 2017. 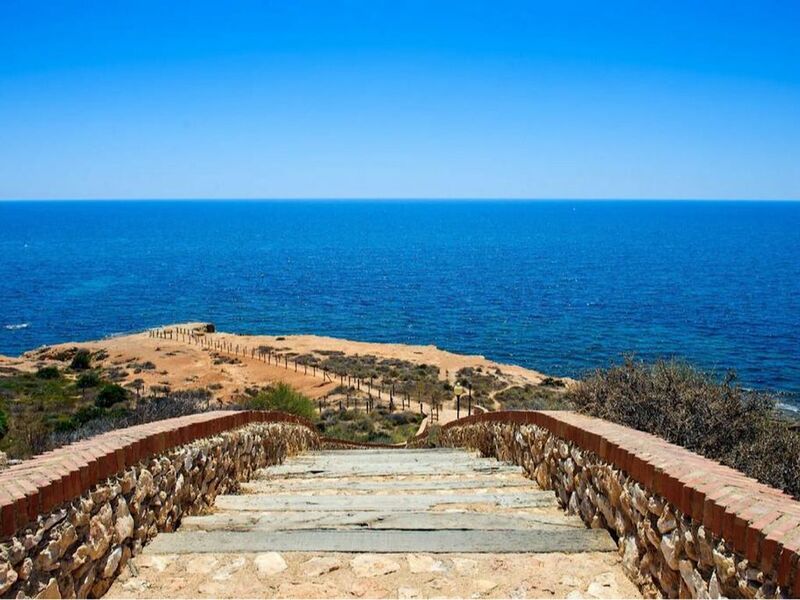 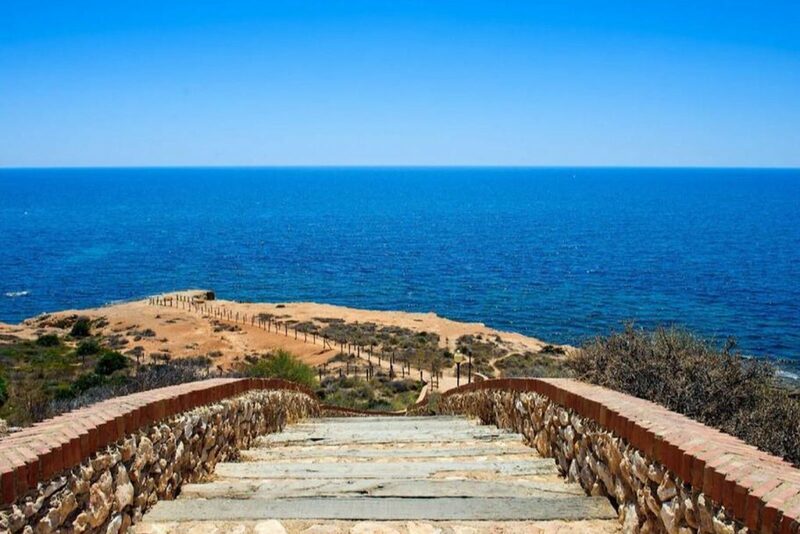 It has a great location, close to restaurants, supermarkets, mini golf, go-kart and the sea. 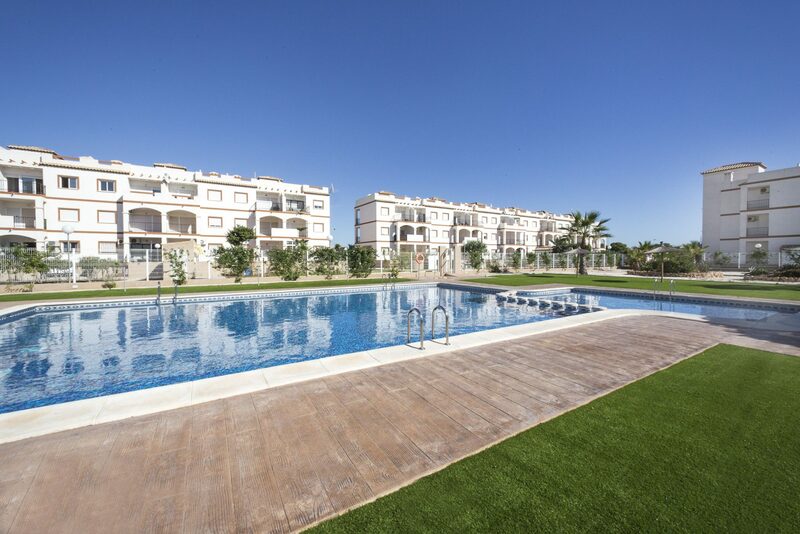 The ground floor apartment is in a gated complex with two big terraces, one on the entrance side (facing north), and the biggest one overlooking the surrounding garden and pool area (facing south). 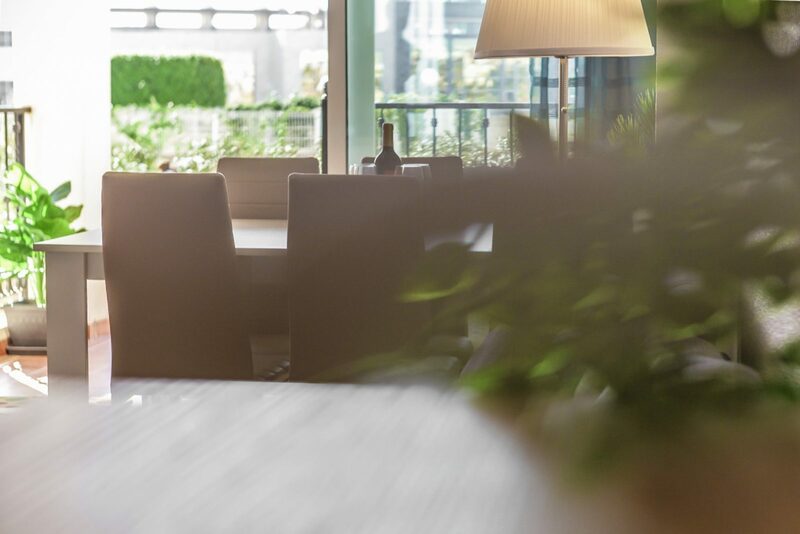 From the living room you access the southern terrace where you first have a balcony with a lounge group, and then down on the terrace you find a dining table and sun beds. 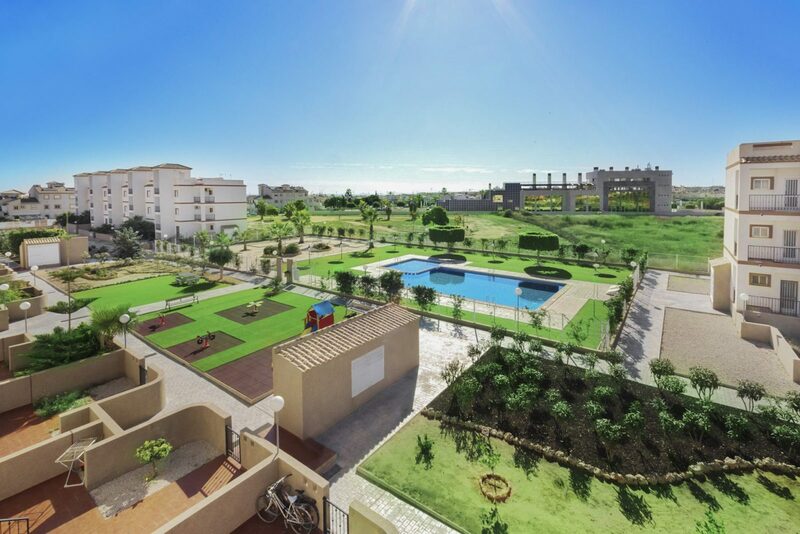 Both the terraces are gated and the community is gated as a whole. 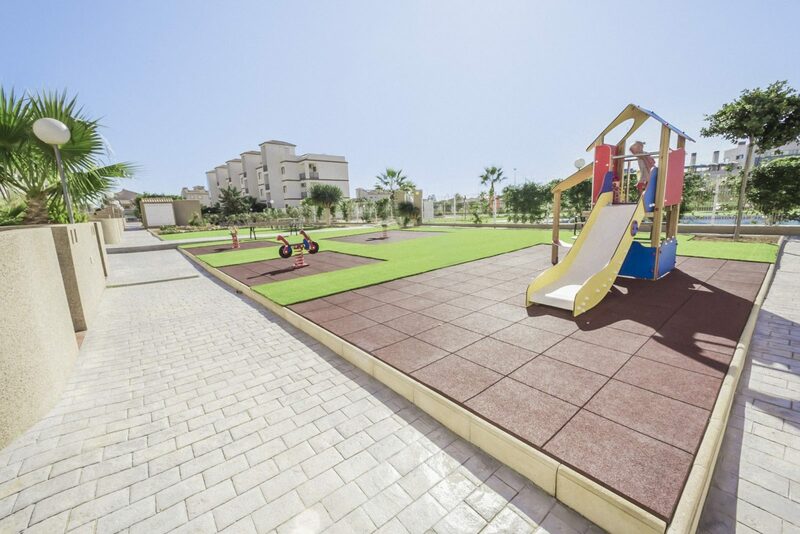 The community pool also has a child section that is divided from the bigger pool. 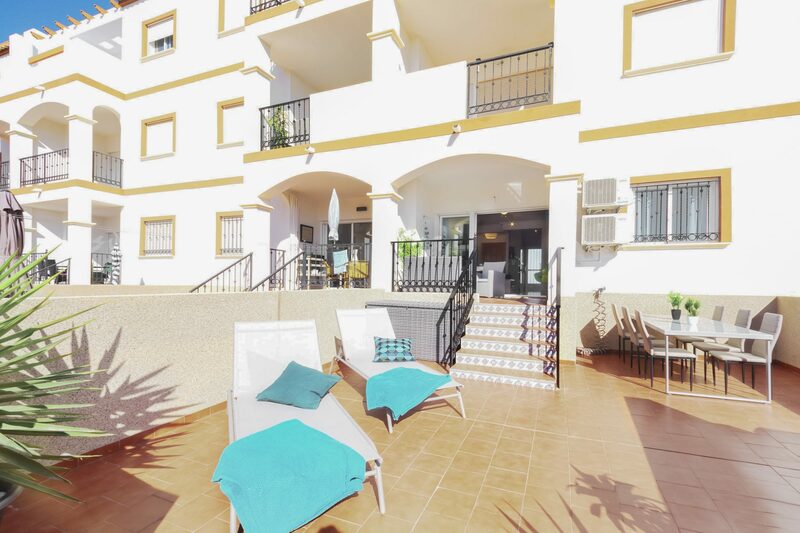 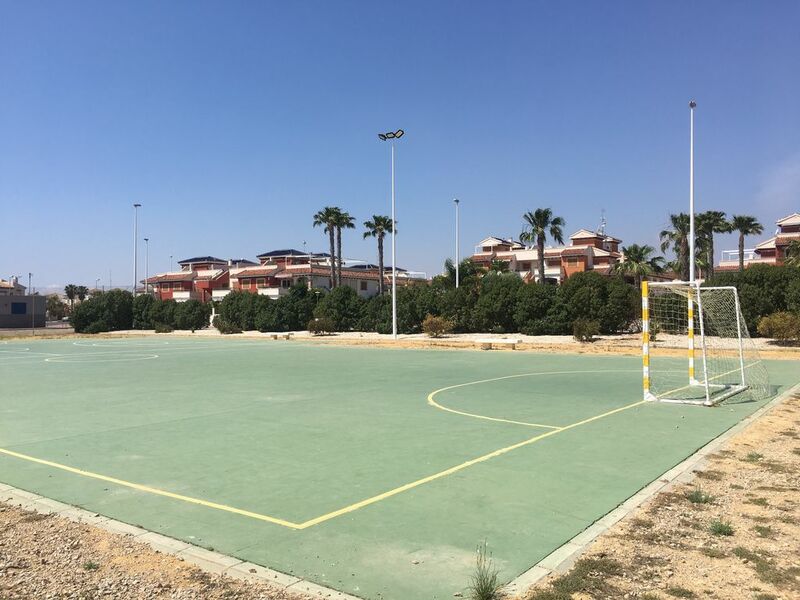 Parking spaces are available just outside on the street and within a 5-10 minute drive you can reach all the Orihuela Costa beaches. 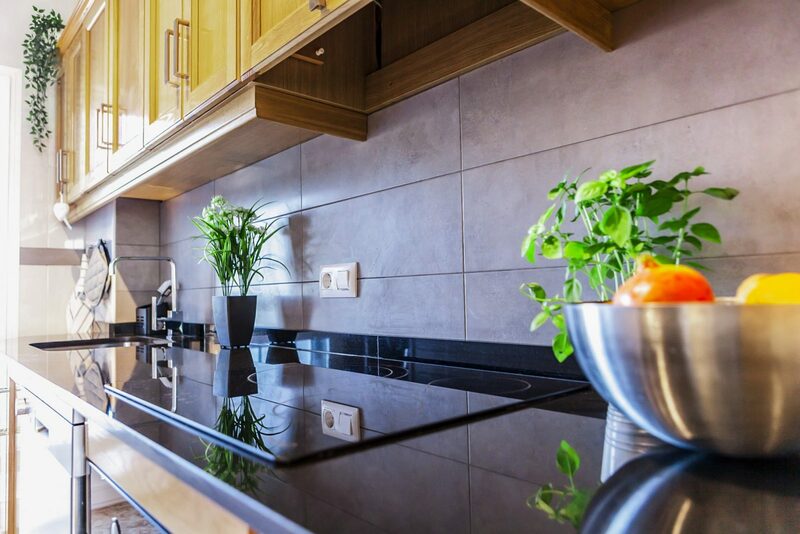 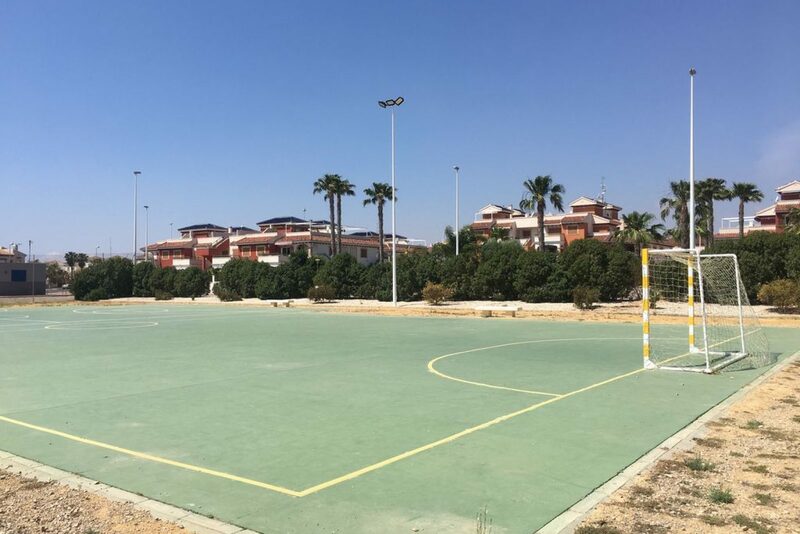 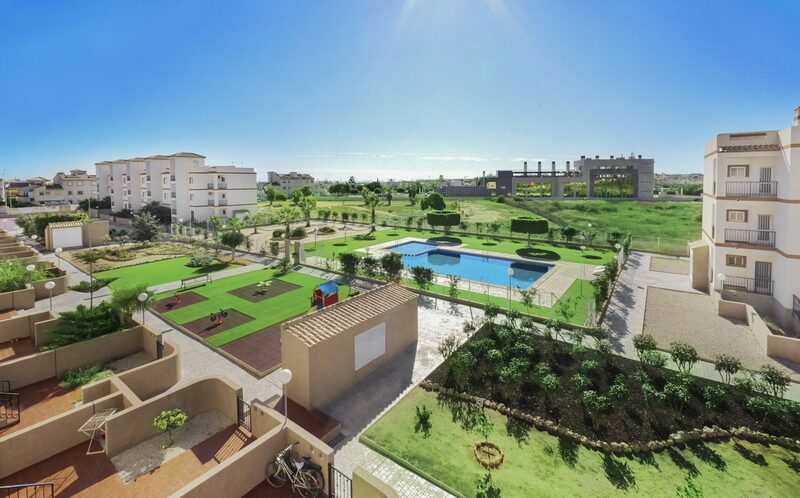 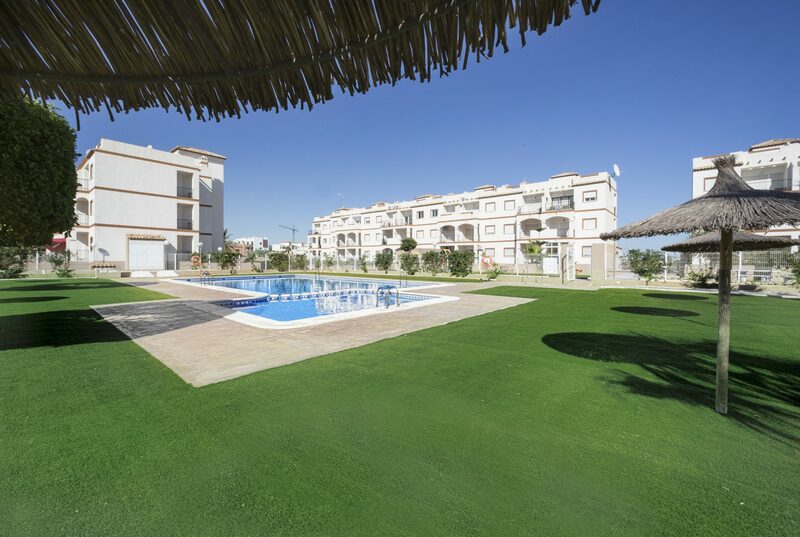 Zenia Boulevard is just 2,5 kilometers away and for the golf lovers you will find Villamartin golf, Campoamor Golf, Las Ramblas and Las Colinas just 4-6 kilometers away. 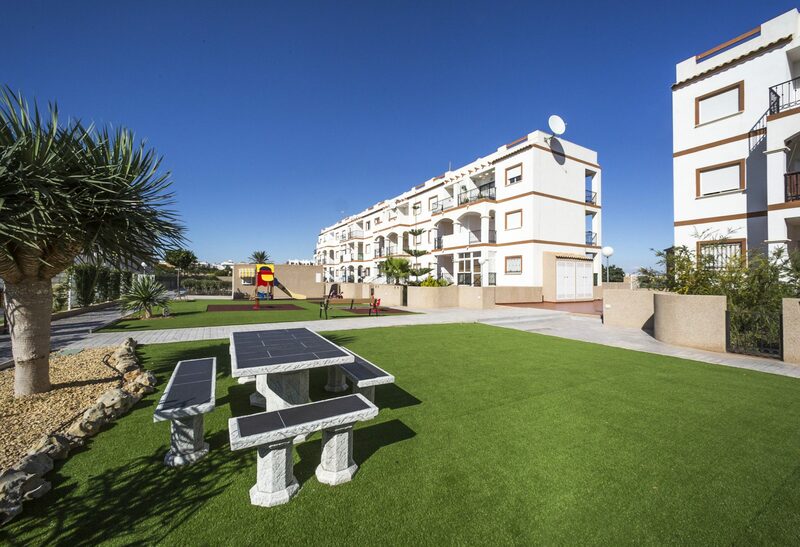 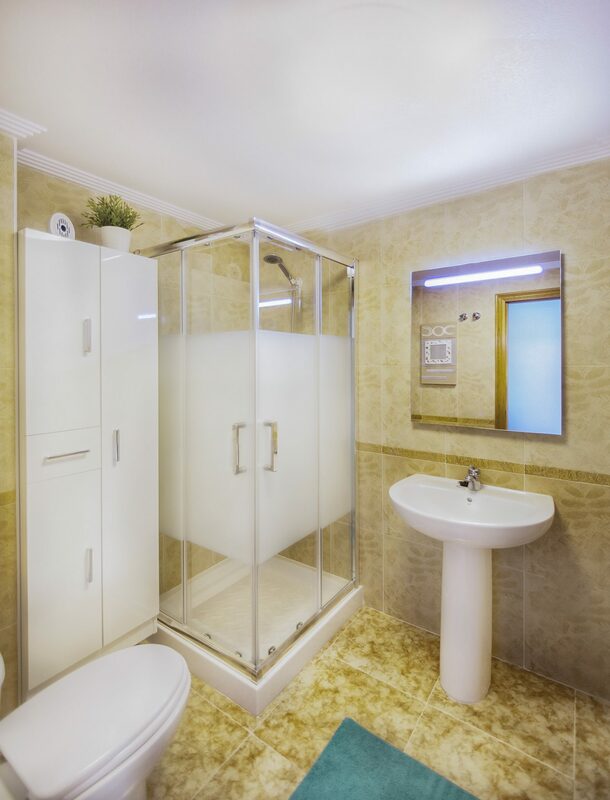 Everything is included in the price (wifi, tv-channels, electric, water, bed linnen, towels etc.) 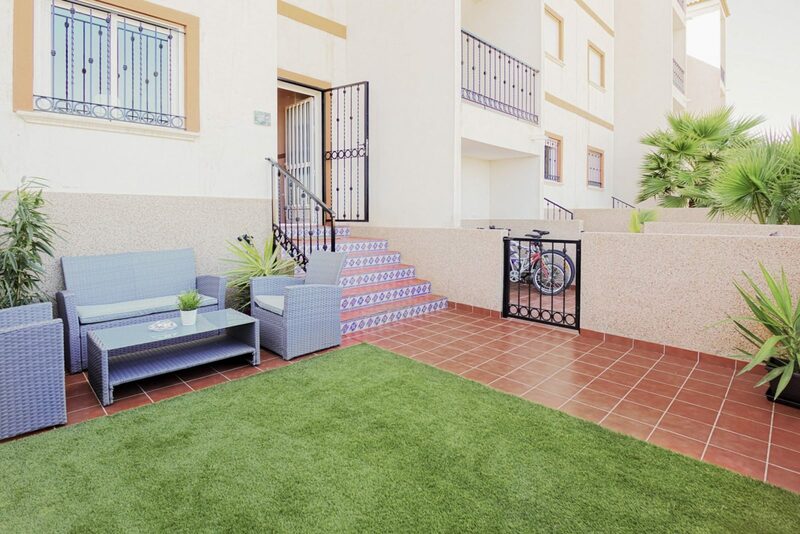 except for a final cleaning fee of 50€ that is paid to the property manager when getting the key.